Dialog boxes consist of a title bar , an optional main instruction , various controls in the content area , and commit buttons . 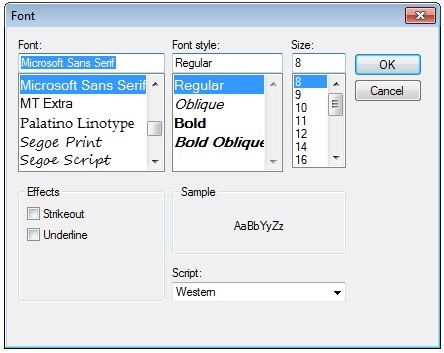 The Font dialog box lets the user choose attributes for a logical font, such as font family and associated font style, point size, effects , and a script. The following VB.Net program invites a Font Dialog Box and retrieve the selected Font Name and Font Size.